Safely cared for in the collections of the National Museum of American History are about 6,000 examples of hand- and machine-made lace from the late 1500s on, from all over the world. The National Lace Collection boasts treasures such as a lace version of the Bayeux Tapestry, Princess Stéphanie of Belgium's bridal veil, and more. But how did the museum come to hold such an extensive collection? Three pieces of lace from the national collection. To answer that question we must look back over 100 years, even before the National Museum of American History was founded. In the early 1900s, collecting handmade lace was a popular activity among society ladies. Many had inherited beautiful laces from bygone eras. Antique laces were fairly easily obtained in Europe. There were large lace collections at both the Metropolitan Museum of Art in New York and the Museum of Fine Arts in Boston. 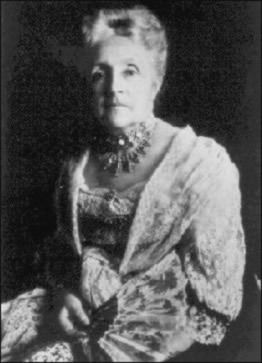 Philanthropist Mary Jane Pinchot (neé Eno) decided that the United States National Museum should have a world-class lace collection as well–one that would show both the history of lace-making as a craft and industry, and the art of lace design over centuries. 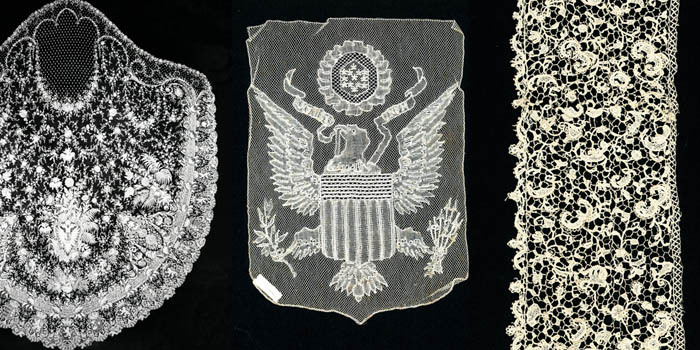 Pinchot wanted to give the American public the opportunity to see every variety of lace and learn the characteristics of these pieces. She solicited 18 of her lace-collector friends to lend or donate to the first Smithsonian lace exhibit. The exhibit opened in 1908. The Smithsonian's annual report that year boasted that the exhibit displayed "an interesting loan collection of over 650 specimens of laces … and other artistic objects." These objects would form the nucleus of a growing permanent lace collection. In 1909 Pinchot traveled to Europe specifically to purchase the finest samples of antique laces she could find to donate to the museum. In addition, she encouraged her collector friends to donate their best laces. Mrs. Alberta Ficher Paz Eno, Pinchot's sister-in-law, donated this exquisite pair of Point d'Angleterre lappets. These bobbin lace lappets date from 1710 to 1720. Richard Rathbun, assistant secretary of the Smithsonian in charge of the National Museum, encouraged Pinchot and her friends in this endeavor. In a letter soliciting laces from a potential donor, Rathbun expressed his wish to establish a "collection of laces worthy of notice throughout the world." Pinchot and her friends continually added to and rearranged the Lace and Art Textiles exhibit. 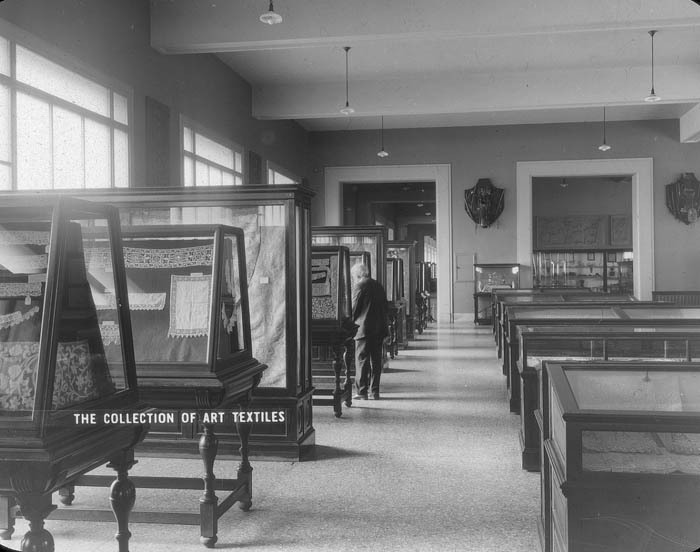 By 1910, the National Museum reported, the exhibition "comprised 779 specimens contributed by 47 persons." This included the 61 valuable pieces selected and purchased by Pinchot in Europe especially for the collection, "with reference to filling gaps and to replacing specimens not of a character fully meeting museum requirements." The first Lace and Art Textiles exhibition in 1908 at the Smithsonian Arts and Industry building. The collection continued to grow. By 1912 the Report of the National Museum showed that "Interest in the collection of the art textiles under the patronage and direction of Mrs. James W. Pinchot, continued unabated, and many additions were received. 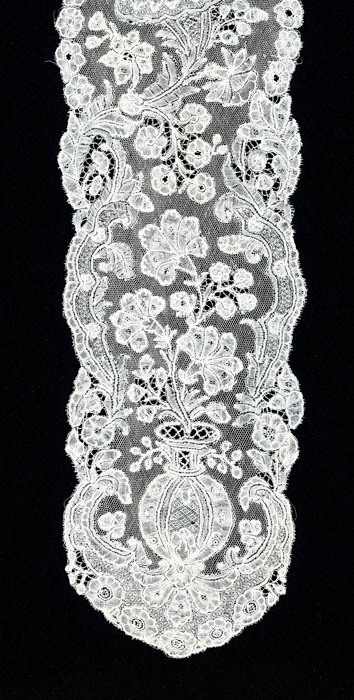 The laces have now become sufficiently well represented to permit the arrangement of a synoptical series, in which all of the varieties are shown, and a special exhibit constituting a résumé of the history of lace making was also installed, the latter consisting solely of specimens belonging to the Museum." "The hall occupied by the [lace] collection continues to be one of the most attractive in the Museum,"announced the 1913 Annual Report of the National Museum. 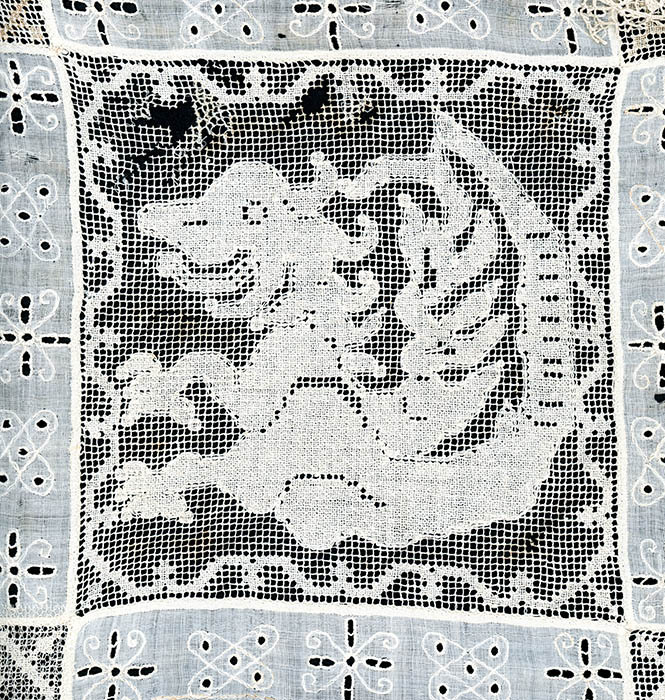 Cutwork and Lacis Panel With Animal Figures, early 17th century. From Pinchot's original initiative, the national lace collection has grown during the intervening hundred-plus years to approximately 6,000 lace objects—primarily from Europe and the United States, but also with a few examples from other regions of the world. The lace collection was assigned to the National Museum of History and Technology when that was created in 1957, which was renamed National Museum of American History in 1980. Access to the lace collection, which is currently not on view, is by appointment only. Email thompsonkh@si.edu for assistance. Karen Thompson is a volunteer with Textiles, working with the lace collection in the Division of Home and Community Life at the National Museum of American History. In the past, she has blogged about the finer details of the Hapsburg Imperial Bridal Veil and lace in World War I.